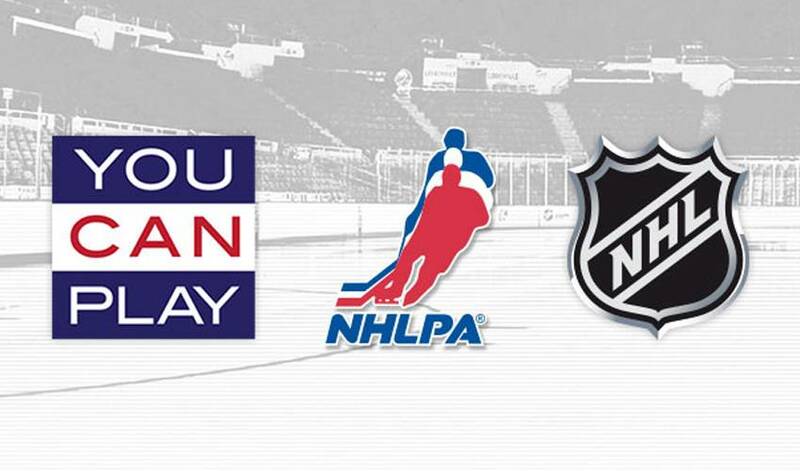 NEW YORK/TORONTO (April 11, 2013) – The National Hockey League Players’ Association and the National Hockey League today announced a historic partnership with the You Can Play Project that formalizes and advances their long-standing commitment to make the NHL the most inclusive professional sports league in the world. The You Can Play Project, founded by Philadelphia Flyers scout Patrick Burke, celebrated its one year anniversary on March 4, 2013. From its inception, it has had tremendous support from the hockey community and beyond. Professional players Tommy Wingels and Andy Miele, and former NHL General Manager Brian Burke all serve on You Can Play’s Advisory Board. Over 100 professional hockey players have voiced their support for gay teammates and have been joined by athletes from numerous sports representing approximately 20 NCAA organizations.